Snapchat is a video messaging and photo sharing App. It was launched in 2011, created by the former students of Stanford University Reggie Brown, Bobby Murphy, and Evan Spiegel. This unique app is for fun sharing and messaging moments. It allows you to take a video or photo, and you can also add a doodle or caption and send it to your friend or just add it to a story to share with all or some of your friends. The snaps can last for 10sec to view, and then it deletes the video or photo immediately. The instant recognition of the Snapchat made Facebook offer 3 billion dollars to obtain Snapchat. But, the co-founder of the app refused the offer which made Facebook create Slingshot which was not well-accepted by users. However, users of Snapchat believe that it will destroy the pics and videos after 10sec of viewing, but the truth is you can also save the videos or photos as the app offers more than what it actually claims. Snapchat is initially used to generate multimedia messages called as ?snaps?, where you are allowed to share short video or photo, and it can be edited to add effects and filters, drawings, and text captions. In July 2014, the new feature added to the app known as ?Geofilters? which offers unique graphical overlays to the user if the user is at particular geographical location. The other extraordinary feature ?Selfie lens? has been included in September 2015 that allows the users to include real-time effects by using FD (face detection) in their snaps. This feature gets activated by pressing long on a photo within the viewfinder, With this app, you can send the snaps to your close friends privately. The story or the message can be visible to the viewer only for a limited time like 10sec max, after that it will disappear. Earlier, to view the snap, users used to hold down the screen, but later the maker modified the feature for a better view. However, you should know that Snapchat does not stop you from taking the screenshot of the snap, but it informs the sender if the photo has been saved if it detects the user. But, it can?t send notification if there are any unauthorized changes to the app or by attaining the picture through external resources. The Snapchat app is free to download and free to share messages and photos. This app became very famous instantly as most of the younger generation as they find it useful for sending fun messages and photos with captions and doodles. Every day over 100 million people are using Snapchat as it does not cost them to share fun and articulate them. The latest features of the Snapchat offers a variety of inspiring improvements to the famous photo sharing app that you would love to update the app. This new feature comes with a new tools and convenient shortcuts and helps you create an innovative and a masterpiece snap. This hidden feature can transform you normal photo into a masterpiece. You can also check the Snapchat beginner?s guide for more information. 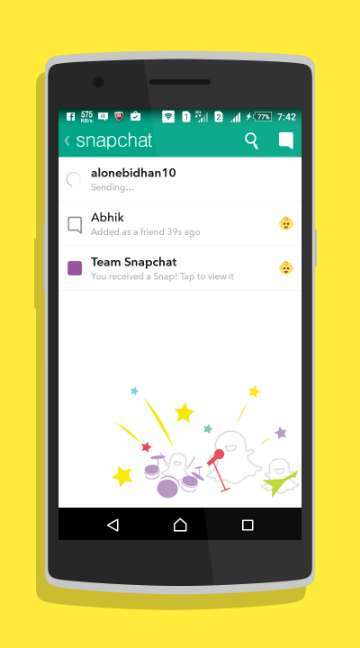 Make sure that you have downloaded the latest version of the Snapchat app on your digital device. If you want to download the new version, then go to iTune store or Google Play to download the free app. 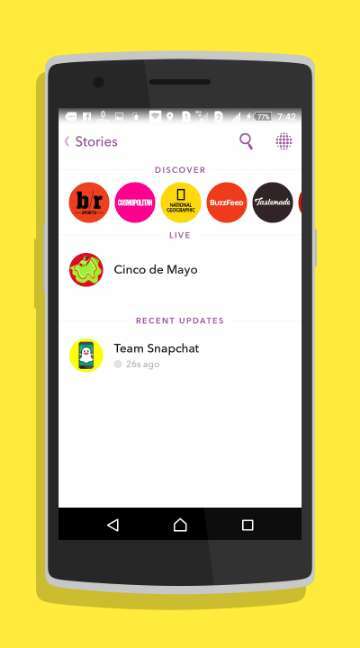 Once your app is updated, and then open the Snapchat and press gear icon which is located on the top-right corner of the screen, and then select Additional Services, and then select Manage. To use the additional features of Snapchat, you must select the features in ?Settings?. The app facilitates bonus features including front-facing flash, filters, special text, and replay, and also it allows you to select the list of the best friends to whom you want to share. These are some of the advantages of the Snapchat.